I started taking art lessons when I was around 10 or 11 years old. 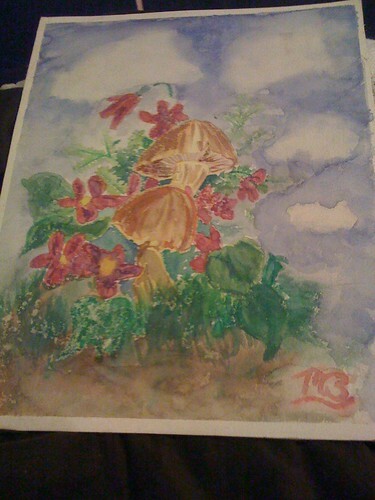 The watercolor below is one of the first art attempts I made during that time. As I find more pieces, I’ll photograph and show them to you. And while you’re looking, I’d love to see some of your first art pieces.